Flat design was on mobile & app UI since 2013. 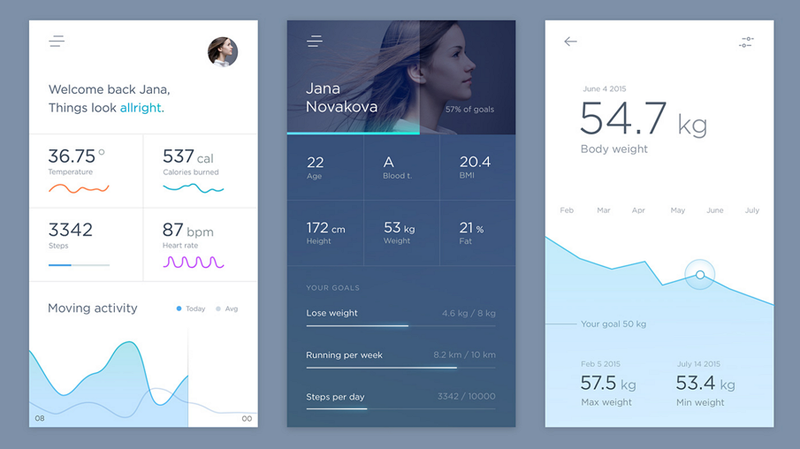 Here are 20 best flat UI design examples on Dribbble and Behance for mobile UI inspiration. Too much of flashy illustrations and animations in the past, and there is a new trend rose up, which is featured right opposite to the skeuomorphic design with drop-shadows, real object characteristics and faux-realistic textures. Flat design has a eye of a more simplified, classically digital aesthetic. 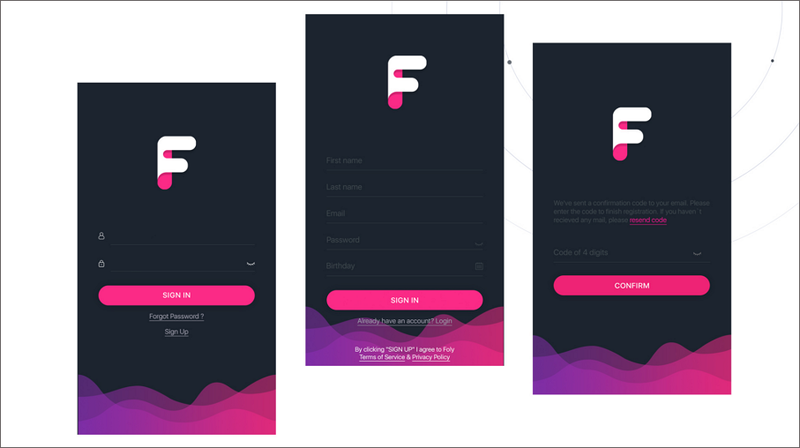 Today, I’ll introduce 20 best flat UI design of mobile app examples, which are mainly from the hands of masters on Dribbble or Behance. 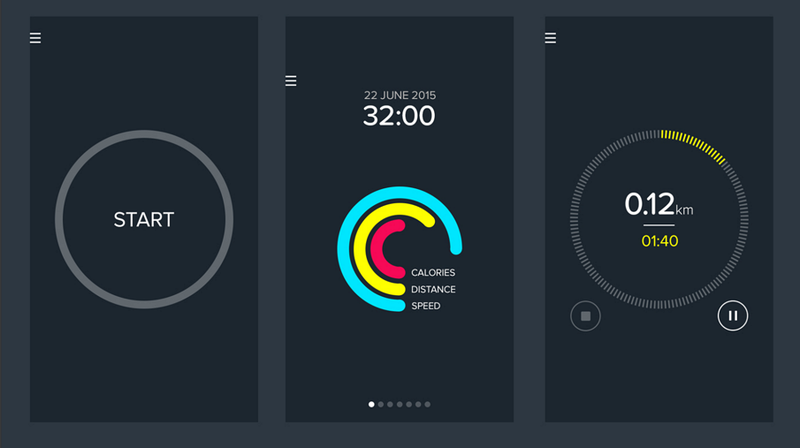 The following are the examples of good flat mobile UI design, enjoy and learn! Why we like it：I really like this beautiful little fox with bright color and geometric graphic elements. Pure color background interspersed with simple lines and graphs, very clean UI interface. What is it: a little preview of a collaboration with the cool folks at WeDo, which can go register for early access. Spencer has kindly created a code for the players here. You can check the attachment to see some of the unused iterations. Why we like it: The logo "V" is very impressive, highlight the Vault Financial app design. Color scheme is pretty clean and simple. Good typography in mobile UI, the hierarchy emphasized the key cope elements also create contrast. What is it: Financial app project design. An application software that manages money for you, let your life more beautiful. Why we like it: Color is bright, white space leaves plenty room. The whole user interface is clean and good-looking. What is it: Intimate is a lightweight APP. It aims at creating professional, personalized experience for the young by removing the complex features. 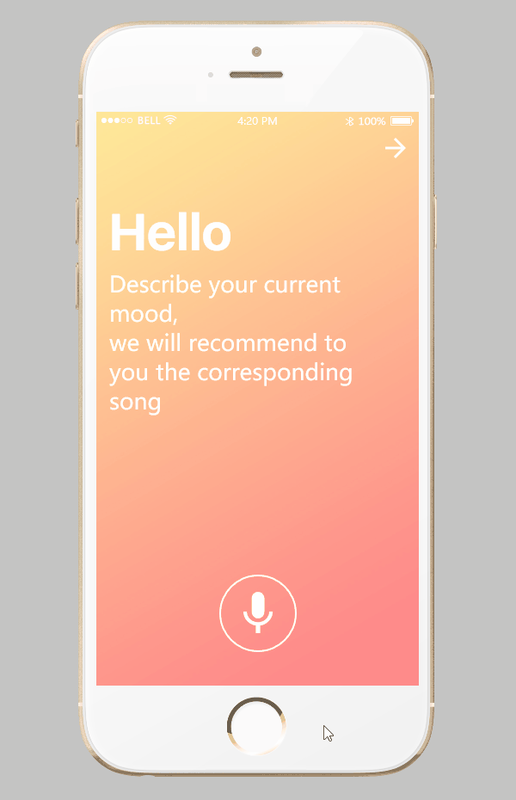 When you open the APP, it will kindly ask your current state to automatically filter the music in line with the current mood. This prototype is made by Mockplus users, containing Home, Player, More. Why we like it: Color contrast is excellent. Black, red and yellow are in golden ratio in color proportion - 6:3:1 rule. What is it: An official launch of mobile application for iPhones, Meet Upper. It's totally free for all the users. 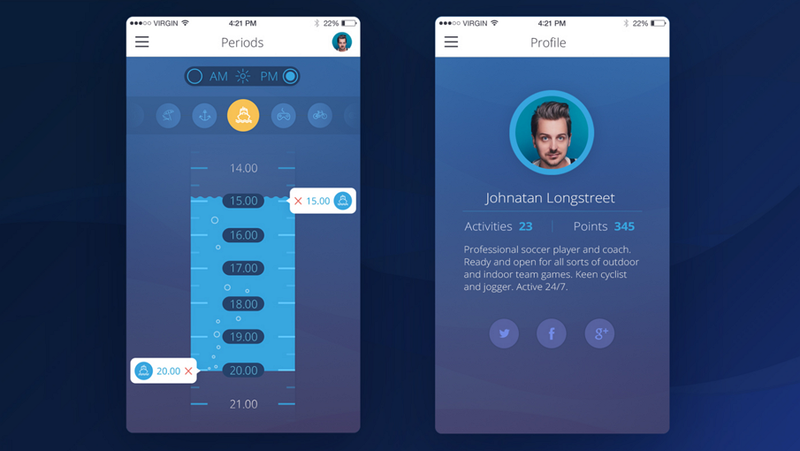 The details on user interface design for the app: the main objective behind it was to create a stylish and efficient to-do list without any distractions, concentrating user's attention on their goals. Why we like it: Single screen-app, simple and clean. Color gradient, a feature of flat deign, better than color transition. 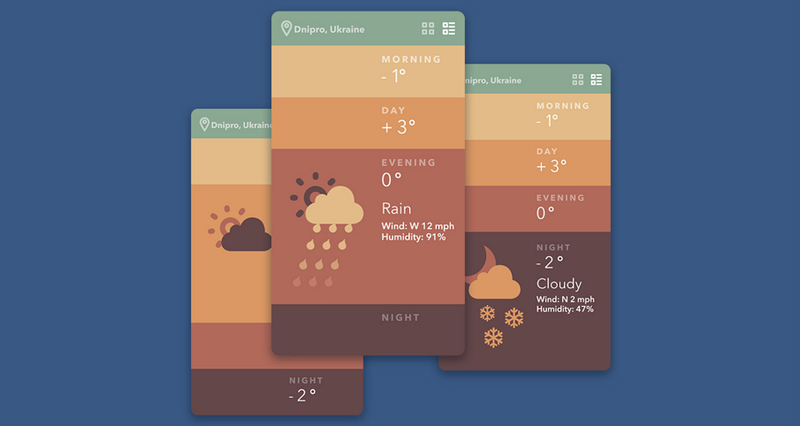 What is it: A weather app concept animation. Sergey Valiukh & Tubik Studio created the concepts just for fun. But this could be realised in real life. The main idea is very simple — single screen-app that show currently weather in your region by four filters: morning, day, evening and night. All interaction are happening by changing of simple laconic shapes and harmonious colors. Why we like it: Blue is the NO.1 color that women and men both like. Color variations between the background and the elements. What is it: A creative concept in the domain of flat app ui design. 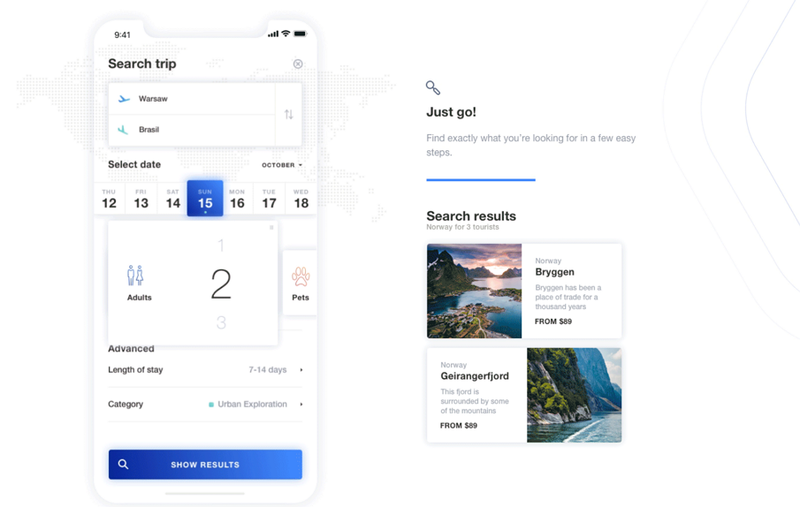 This time it is a vacation-themed application allowing users to schedule their activities and effectively organize their time during a holiday. The presentation features two versions of the app: basic mobile application with UI Kit and its iPad adaptation. The basic idea was to make the interface stylish, user-centered and easy to use. Why we like it: Pure purple background, in fashion and bold. Icons are simple and easy-to -understand. 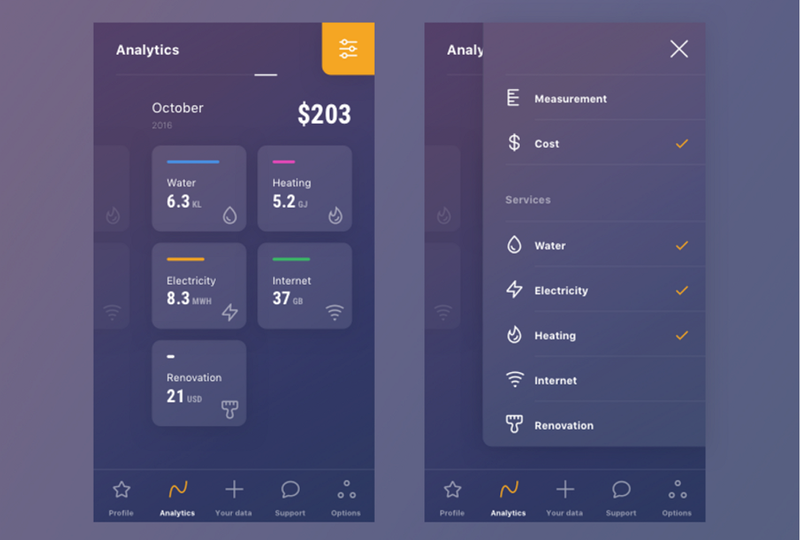 What is it: It's a new vision of an app which allows users to analyze monthly utility consumption. Why we like it: Simple icons and clean lines. What is it: More of a human activity tracker, which will help you more healthy and happy. Why we like it: I really like the logo "F", it's quite creative, got the feeling of "Foster my passion"
pure background, the interface is clean. What is it: Mobile app for iOS UI and Android. UX performance for a new type of user flow. This app was created for middle and high school students that wants to perform their study achievements. Why we like it: Round shape icons with bright colors, simple but appealing. Pure black background, creating a UI interface that looking elegant. What is it: Grégoire Vella runs almost everyday and uses mainstream tracking apps. However none of them are minimal enough for he. It’s why he wanted a simple, beautiful and reliable app, which stays focus on tracking. No big deal. Why we like it: Beautiful color contrast between purple and white. Very simple but well-informed interface. 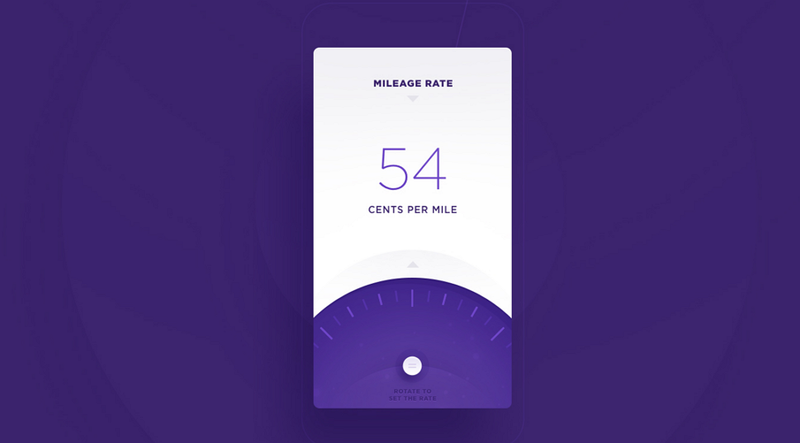 What is it: It's a Mileage Tracker Website & Application Design, with simple UI elements but powerful information. Easy to understand and use. Why we like it: Very clean interface and the excellent interactive. What is it: Open source iOS and Android controls created by skilled developers in pair with passionate designers for everyone to use in their apps. Why we like it: Good interactive, easy to use and understand. Pure white background, clean and simple. What is it: World can be yours with just a few swipes. Do you happen to plan a new travel adventure? 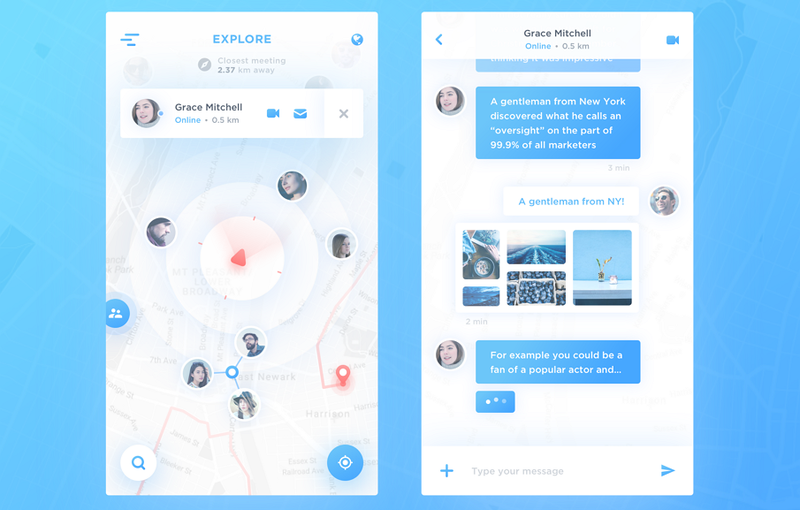 This Travel App with excellent flat ui design will help you to discover new places. Why we like it: Beautiful color contrast, simple but powerful UI elements. What is it: Foly is an application connecting artists and creative people. Why we like it: Clean and good-looking color scheme with white and blue. What is it: Map Chat APP is a useful and creative application for communicating and chatting. Why we like it: Light pure green background, comfortable and clean. 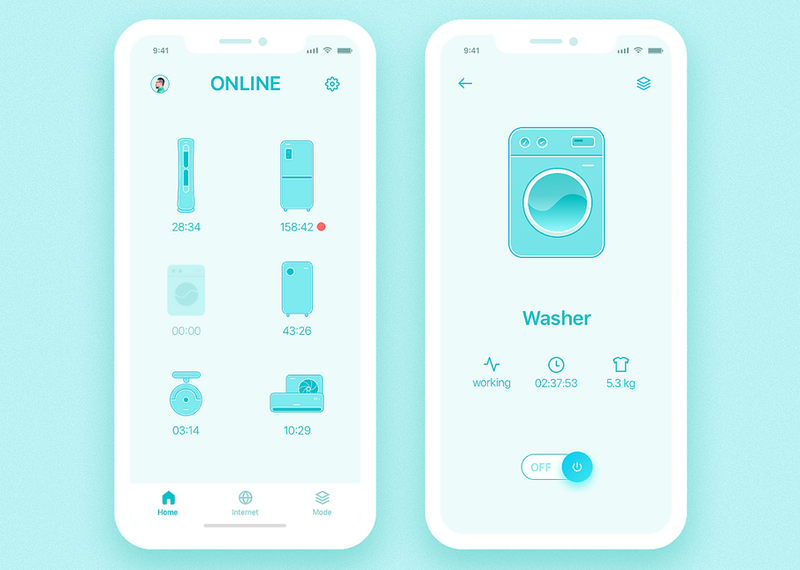 What is it: Smart Home App - iPhone X. 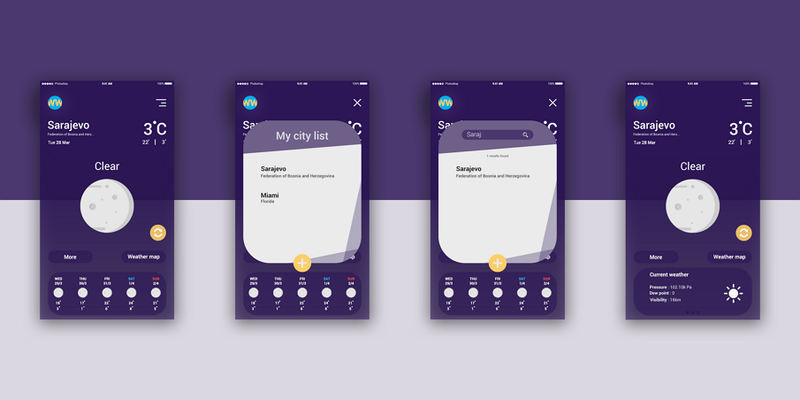 The arrival of iPhone-X was an important event in 2017, A few days ago Sunny UI designed a project about a smart family, and wanted to be able to design it on a new phone. Why we like it: Dark purple is creative and bold. Color combinations is excellent. I like the icons in round shape. 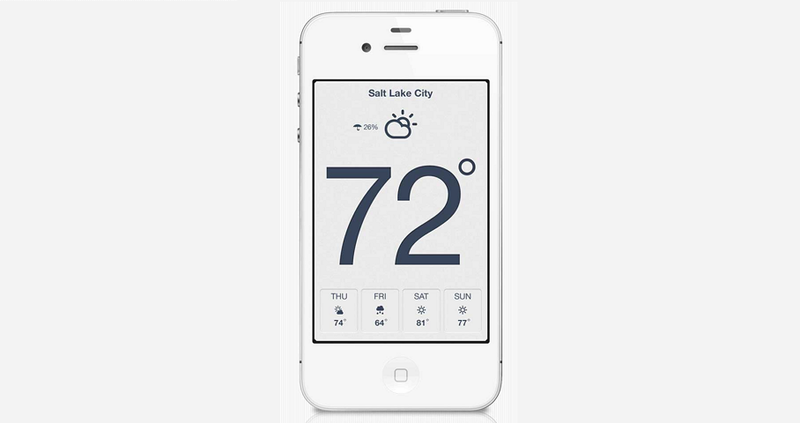 What is it: An App about weather, make your life more comfortable and nice. A good flat mobile UI design inspiration. 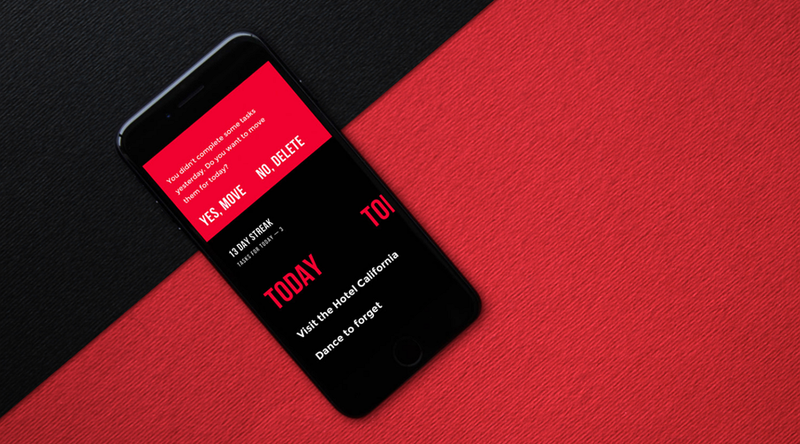 A good flat UI design for mobile App inspiration. Why we like it: Icons and graphics are simple and meaningful. 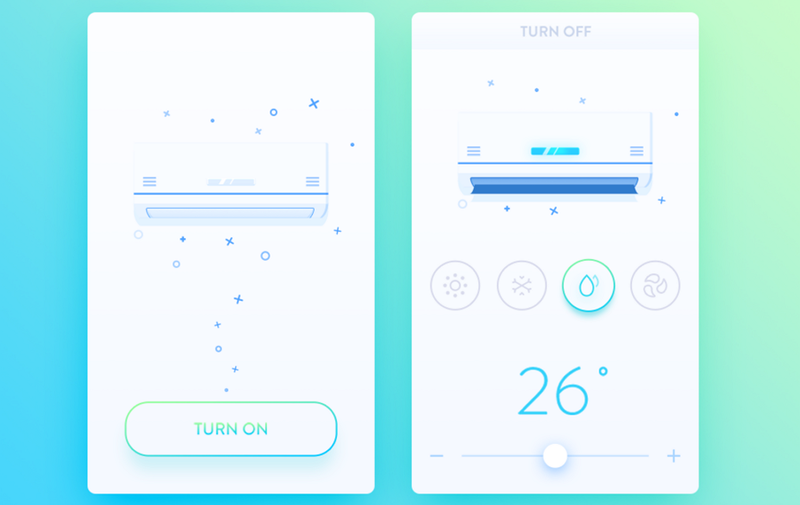 What is it: The cell phone in hand, don't need the remote control, any corners can control air conditioning in the home, let the life more convenient. Why we like it: Excellent interactive and animation. All interface consisted of highly contrasted color lumps. What is it: Here is a small presentation of a four-month work. 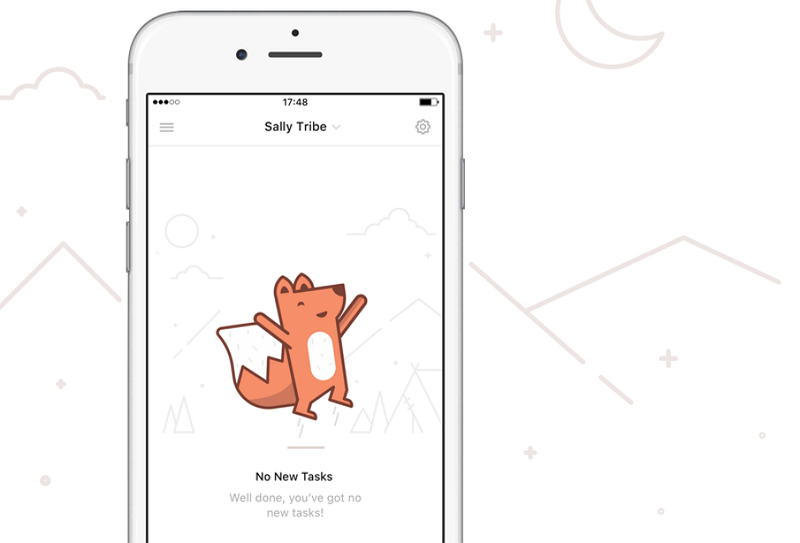 Tubik Studio wants to share with you some new concepts and mobile ui design animations. An amazing app for adding posts to profile feed, meeting new people and clicking in at great venues. 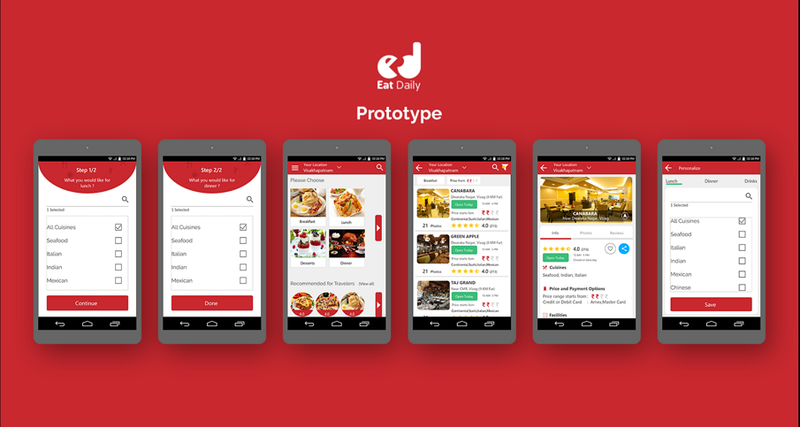 What is it: Eat Daily app is a restaurant finder super easy and fast. Fast search in a traffic or busy schedule.Most of them say sign in problem when they open app. Most of the apps don't learn about food habits. Search takes more than 10 secs. Font size where elders can't see. Colour visibility in hot sun. Eye catching comparison of two restaurants in a list. Lot of food delivery issues. What is in common in the above 20 flat mobile UI deisgn? All the elements on the interface is of simplified, classically digital aesthetic. This is also the core of flat design. For example, use simple icons with clear meaning. Use sans-serif rather than fancy fonts. More details towards How To Use Color In UI Design Wisely to Create A Perfect UI Interface. Use Sans-serif to create a clean interface as well as work with other elements towards a comfortable visual look. Adopt font size and color to create contrast for emphasizing the central information. Just don't go too far, the contrast should be moderate. User experience of flat design seek more than only to its simple and clean visual effects, also the clear and concise interactive design is of great importance. Good interaction design must avoid causing user confusion and get overwhelmed with interactive process. Mockplus comes with more than 3,000 icons and nearly 200 components. Just drag these components into the canvas for a combination to prototype your app ideas within few minutes. Focus on design itself and no more efforts will be spent on making a component. The interaction design in Mockplus is totally. Sketch is a professional vector graphics tool aimed at UIS design and Web. Sketch holds the features of vector editing and perfect pixel. Its smart guides can quickly and accurately dimension the line between two elements, which is great for design. Sketch has excellent output capabilities which support native multi-fold and multi-format output, what's more, it supports own suffix. PS is a powerful image processing software. But many new designers may take PS wrong as the graphic processing tools. Of course there are many design tools are not listed here. It's not about how many tools you use, it's all about how you master each tool. IDoc is an all-in-one online design collaboration and handoff tool for you to create a great flat mobile app collaboratively. With it, you can import your flat UI designs from Sketch/Photoshop/Adobe XD with ease, create UI flows and interactive prototypes with simple drag-and-drop, upload and preview mobile design related documents freely, and handoff web/app design with developers and product managers effortlessly. Finally, there are some flat UI design resources for you inspiration. Why flat design plays a big role in mobile UI design? Mobile UI design should follow the trends of flat design, moreover, flat design can bring its superiority into full play on it. That is, due to the limited screen, flat design is the best way to present necessary information and elements directly so as to reduce user cognitive disorder to a large content. Besides, as websites and Apps are falling into various screens with different sizes, it’s hard to do skeuomorphic design make them adopted to various platforms, in this case, flat design can easily make sure all designs looks pretty on any-sized screens. Flat UI design will gain more attention is inevitable in future, especially on mobile UI deisgn field. Just pay attention to it. Hope this article can bring you some inspiration.